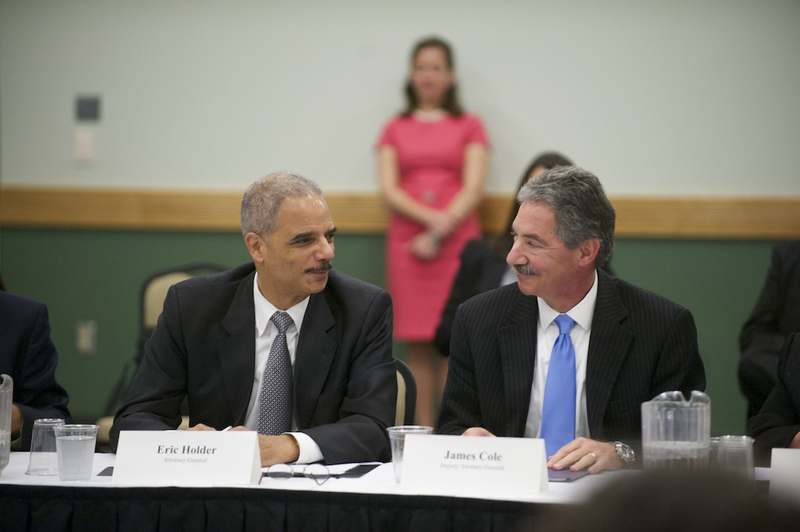 AG Eric Holder with Deputy AG James Cole, who made the call to secretly seize two months of records of 20 phone lines of AP reporters in search of a leaker in the Obama administration. My first instinct when I heard Monday’s revelation of the DOJ’s secret seizure of certain AP reporters’ work and home phone records was to say to myself, I’m glad I voted for Jill Stein. Rory Stewart, Tory MP from Cumbria, made these observations on the 10th anniversary of British collusion with the Bush-Cheney catastrophe in Iraq. He describes the situation well and asks excellent questions, especially the very last one in this excerpt. Prime-Minister sent tanks to arrest the Sunni Vice-President. fifty and wounding two hundred. Saddam – an extreme dictator – has gone. The media is much freer now. scale between Iran and Pakistan. Hat tip, once again, to The Browser.